Wiggle offers a wide range of products and services at incredibly low prices in Australia. These Wiggle promo codes expire soon, so don’t forget to bookmark this page now. Limited time Wiggle coupon: Order Shimano SPD MTB Cleats from Wiggle and get a huge discount of 53%. Wiggle free delivery offer: Shop cycling accessories, running shoes and swimwear worth $99 or more at Wiggle and get free tracked delivery. Exclusive Wiggle voucher codes: Do not miss out this great offer from Wiggle and save up to 50% on clearance sale items. Latest Wiggle promo code: Purchase Shimano Dura Ace 9000 11 Speed Groupset from Wiggle that delivers accurate shifts every time and get a discount of 48%. New Wiggle discount: Order pair of Continental Grand Prix 4000S II Road Tyre from Wiggle and save 36% with it. Seasonal Wiggle deal & sale: Shop from a wide range of dhb Flashlight at Wiggle and save 25% with it. Limited time Wiggle coupon: Buy Salomon S-Lab Sense Ultra Set from Wiggle and save 24% on your order. Latest Wiggle promo code: Order this mid height and fully waterproof Salomon XA Pro Mid GTX Shoes from Wiggle and save 20%. Wiggle free delivery offer: Shop for Shock Absorber Run Sports Bra for as low as AU$48.85 only at Wiggle. New Wiggle discount: Track all activities with Garmin Vivosmart with Integrated HRM available at Wiggle for as low as AU$216.68. 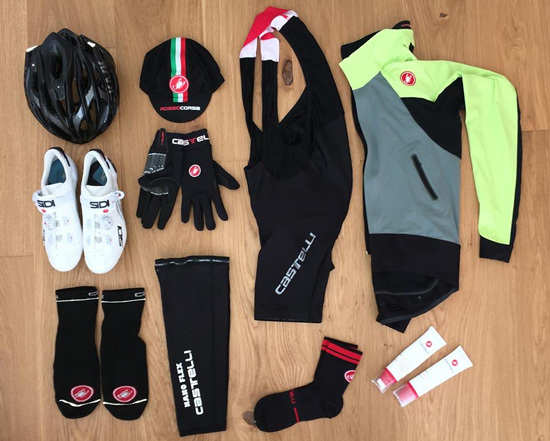 Wiggle is an online retailer of cycle products and accessories as well as bicycles of a variety of styles. Wiggle evolved out of a small bike shop named Butler Cycles, which existed in the 1920s. As Butler Cycles continued to change and expand, it changed its name to Bikes @ Butlers. There was already interest among the owners of taking the retail to the internet. Obviously, the company has changed its name yet again to Wiggle and now has over 350 employees. Wiggle takes care to hire knowledgeable sports enthusiasts who are excited about their chosen activities. The Wiggle team participates in events and staff athletics for team building and even product testing opportunities. Wiggle is proud to ship internationally. They deliver to Finland, Greece, Hong Kong, Iceland, Japan, Sweden, Portugal, Canada, the United States and several other countries. Shipping is nearly world wide. There are several ways to shop at Wiggle. They especially promote a breakdown of categories and disciplines sucha as Bikes, Components, Clothing, Shoes, Nutrition, Accessories, Commuter, MTB and Road. Each category has a selection of items at different price points and to address different concerns. The apparel is all designed with performance in mind and the gear options are vast and high quality. This is a more direct way of shopping than simply choosing one of the major categories at the very top of the home page. Find more savings voucher code from top Australian online stores selling sports products by visiting sports & outdoors category of our site. Most of the popular athletic brands are represented at Wiggle. Shop the brands and many more: Altura, Campagnolo, dhb, Garmin, Shimano, Verenti, Adidas, Newton Running Shoes, Shock Absorber, Under Armour, Arena, Aqua Sphere, Funkita, Funky Trunks, Maru, Race Face, Gore Bike Wear, Maloja and Renthal. New customers receive $15 off their first order if they spent more than $150.00. All orders over $50 receive free shipping. Items shipping internationally are duty free up to $800. Cycle clothing is on sale for up to 50% off. Adidas is one of the best seller of sportswear & equipment. Also here, you can find money savings deals like free delivery, clearance sale and more. After you finish shopping, begin the checkout process. If you are a new shopper you will have to enter information to sign up for an account. If you are a returning customer, simply log into your account. During the signup process or at any point in the checkout process, click ‘edit basket’. In the edit screen there is a field to enter a coupon code. Enter your code and apply it. If you are into cycling or athletics, the Wiggle channel on YouTube will have something for you to enjoy. There are interviews, videos or stunts and rides, nutritional based videos, and product features. The common theme is knowledge. The most popular video on the channel features something pretty extreme: The Wiggle Bike Bungee! The staff sure does love adventure. This video is all about it. Members of the Wiggle team traveled to the French Alps to test out both their riding skills and four different bikes. In this bike bungee video, only one can be the winner. Wiggle goes beyond just providing you with the products you need, they want to provide you with safety as well. Wiggle insurance is a smart purchase if you are an active individual who wants to be sure you’re covered. There are specially selected kits to shop from. Take a little helping hand from the experts. 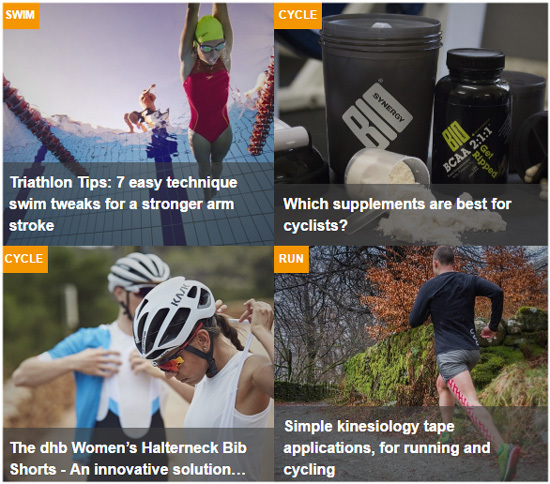 The extensive Buying Guide section of the site is full of information about sports and the products available at Wiggle. This way, shoppers can focus on exactly what they're looking for and save time on the website. Gift vouchers can be purchased from the site and used the same as cash, for anything sold on Wiggle.com. They are available in a variety of denominations to suit all gift giving needs. They can be redeemed as a form of payment during the checkout process. Because Wiggle ships internationally, the number of options for shipping are nearly endless. Their return policies are generous and helpful. You have an entire year to return unwanted products, provided they are unused and in the original packaging. Process the return though the Return An Order section of the website which will walk you through the rest of the return process. Please consult the website for the returns address for your country. Customers in Australia should return to the address on their return form.